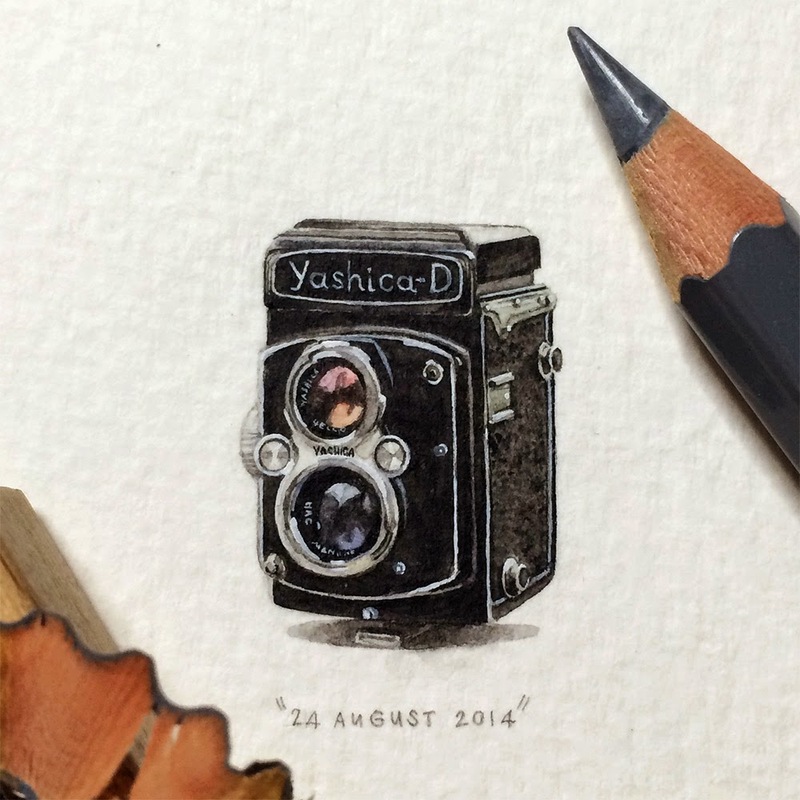 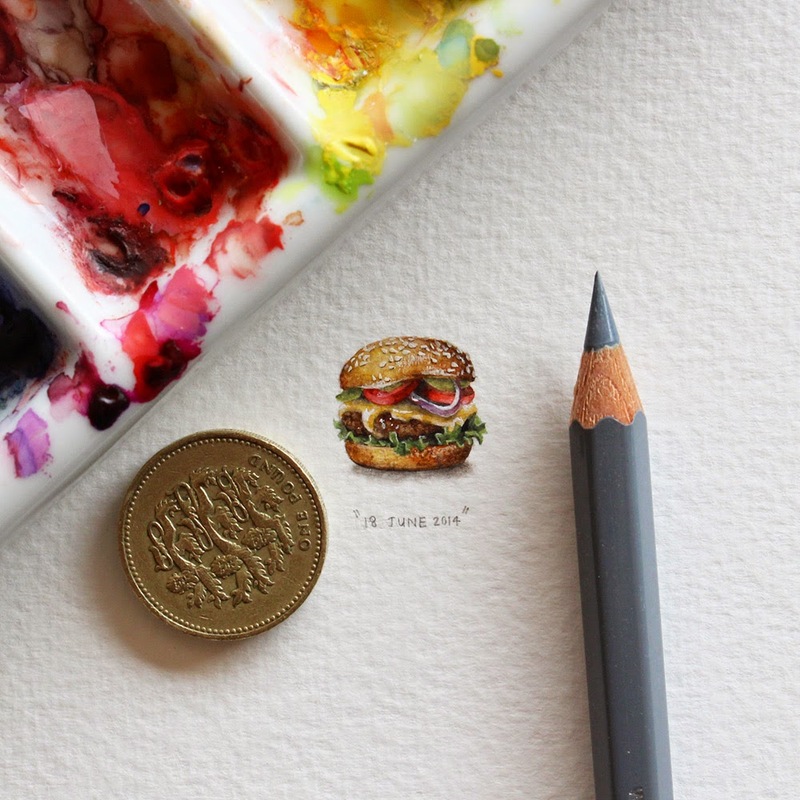 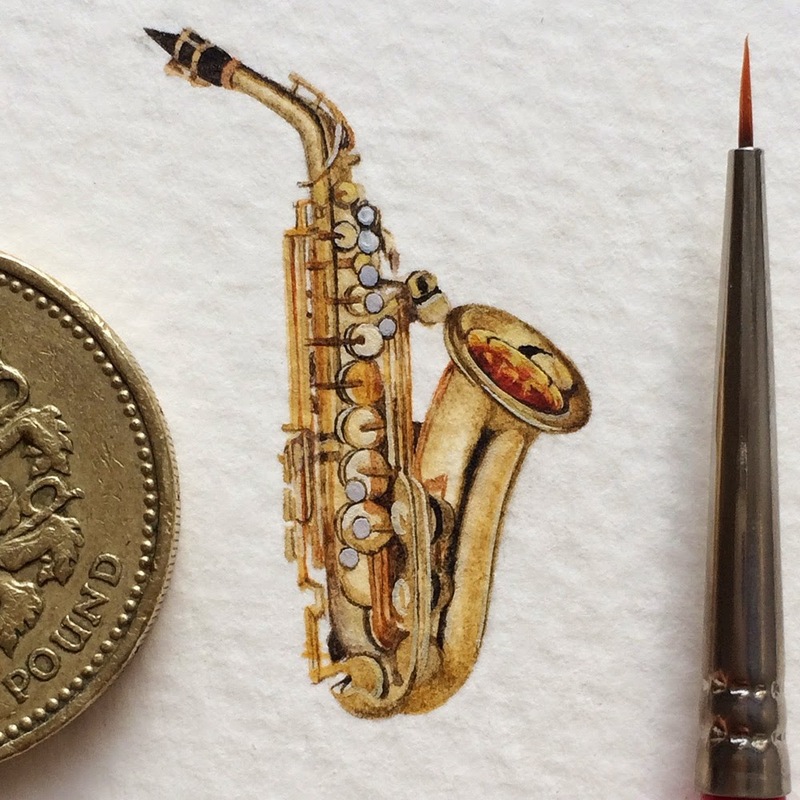 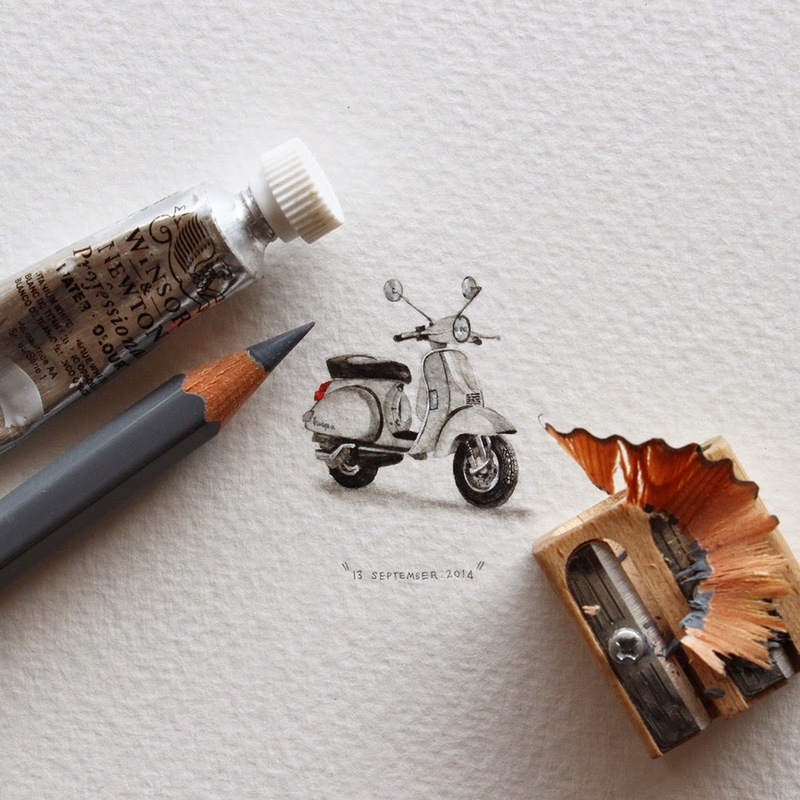 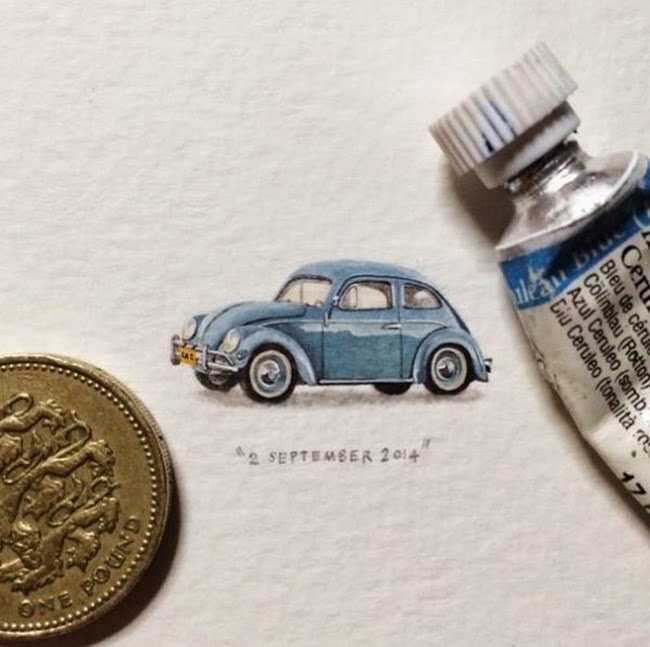 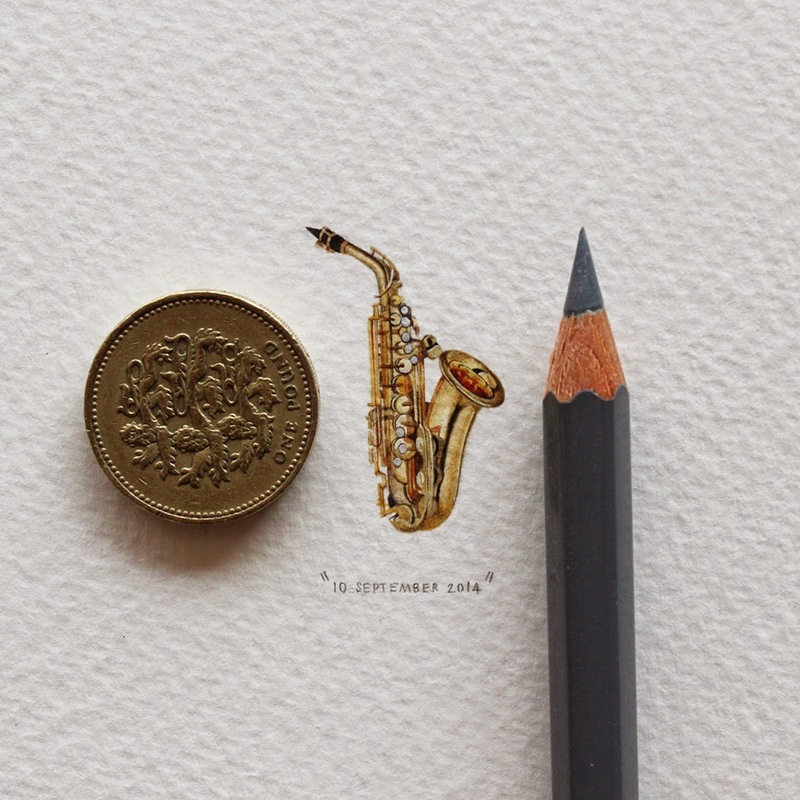 Postcards for Ants is an ongoing painting project by Cape Town artist Lorraine Loots who has been creating a miniature painting every single day since January 1, 2013. 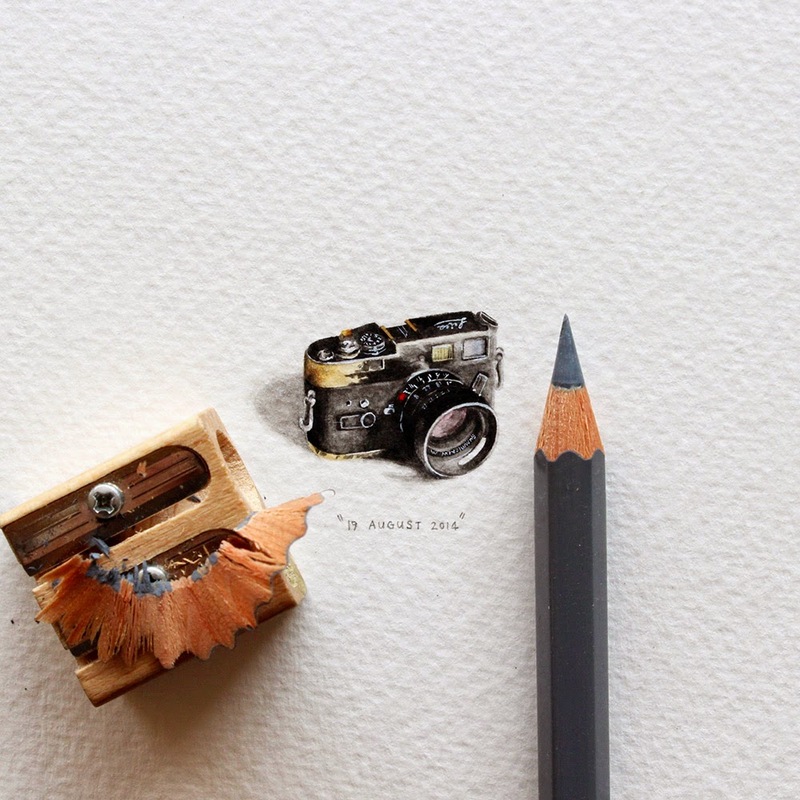 The artist works with paint brushes, pencils, and bare eyes to render superbly detailed paintings scarcely larger than a small coin. 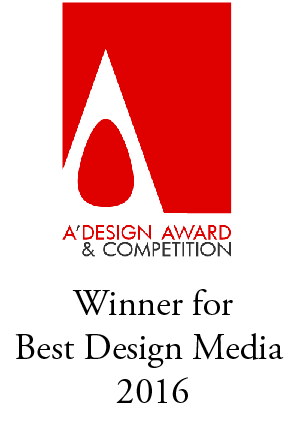 After the first year, Loots relaunched the project in a second phase inspired by Cape Town’s designation as World Design Capital 2014. 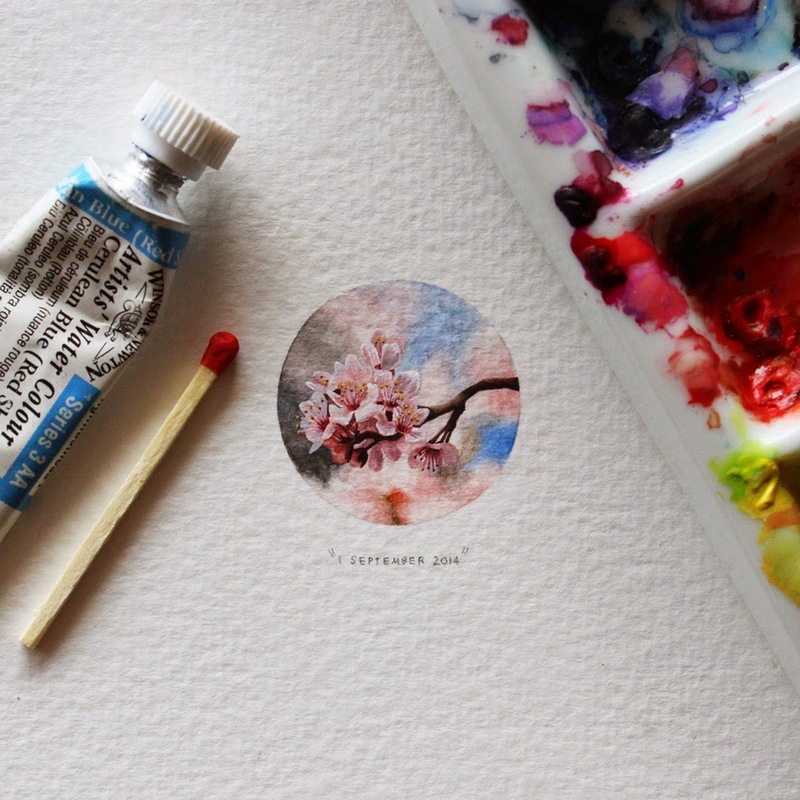 On her website you can “reserve” a future painting (it’s all booked up for this year), and she’s also printed five limited edition postcards for each day.